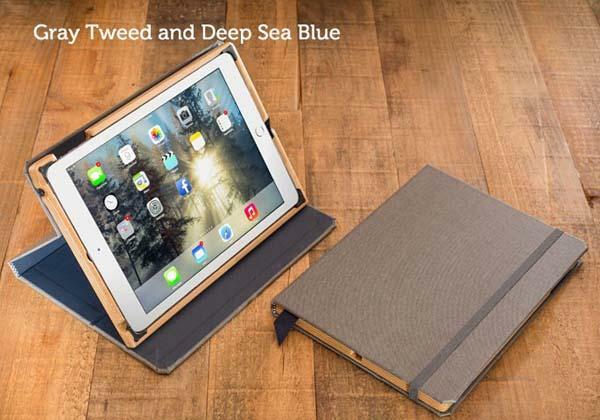 Pad&Quill has unveiled their latest protective case line for Apple’s latest iPad Air 2. If you need a balance of bindery beauty and ultra-thin design, their Contega Linen iPad Air 2 case may be more suitable for you. 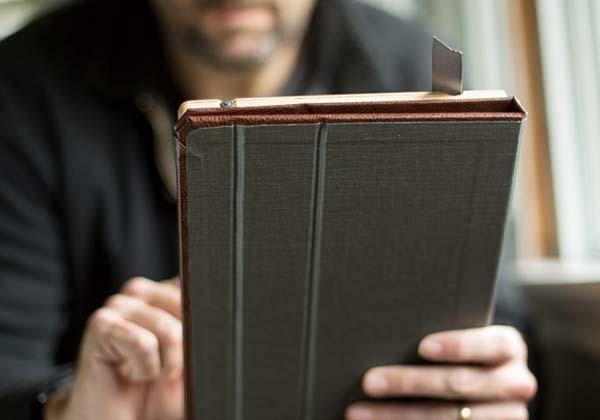 The Contega Linen is a customizable, book-styled protective case for iPad Air 2. 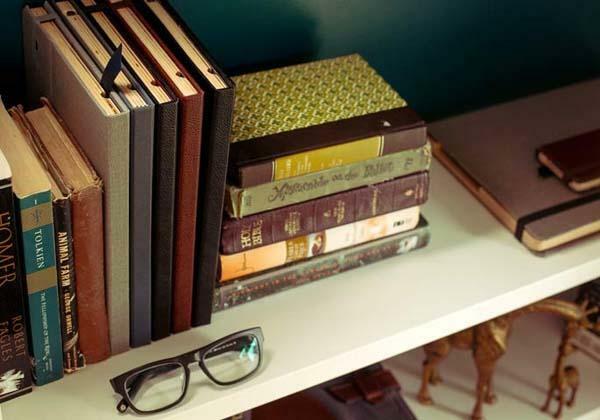 The iPad Air 2 case measures 10 x 7.3 x 0.5 inches, weights 10.8 oz, and as we can see from the images, the case sports an elegant and low-profile design and consists of a tough buckram linen cloth cover with traditional book bindery cloth interior and a handcrafted satin finish Baltic birch cradle in order to protect your iPad Air 2 from bumps and scratches, and the ultra-thin cradle decently match with the gorgeous design of your iPad Air 2. Moreover, the iPad Air 2 case also features sound reflect channels for enhanced audio, and the front cover doubles as an iPad stand for handsfree entertaining, apart from that, the case is customizable via adding personalized monogram. The Contega Linen iPad Air 2 case comes in two tones and costs $99.99 USD (extra $15 for monogram). If you like it, jump to Pad&Quill official site for more details.